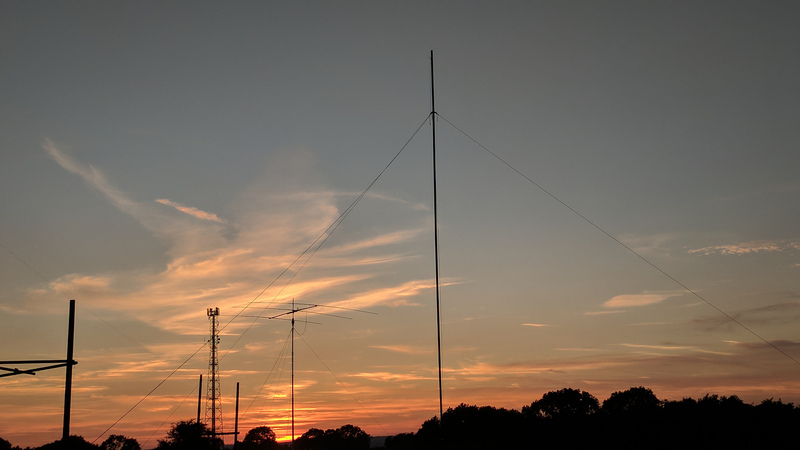 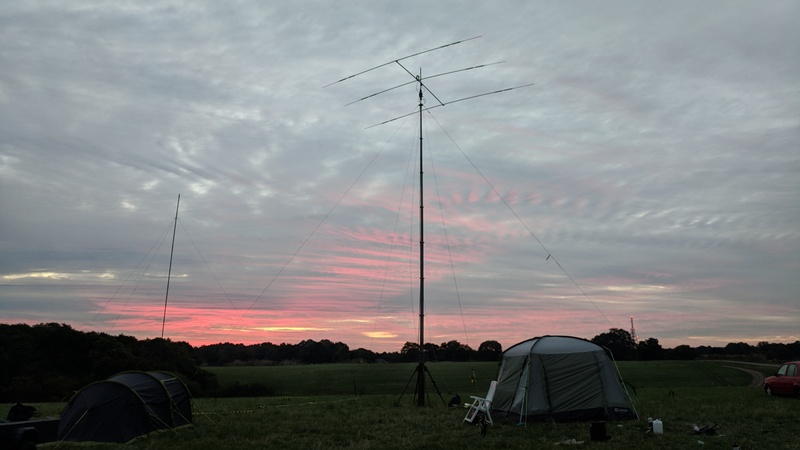 Today was the RSGB first 70 MHz contest, and the weather was forecast to be overcast and dry. 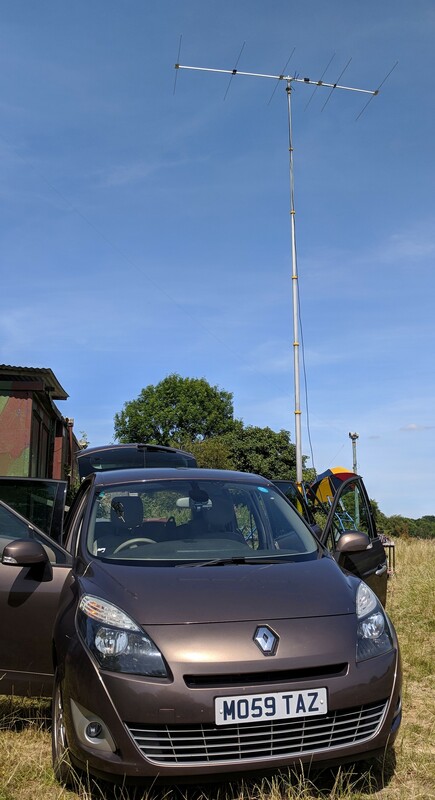 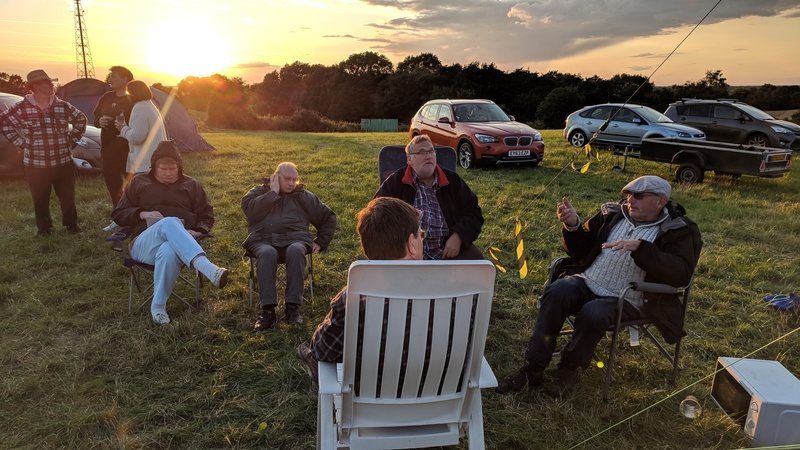 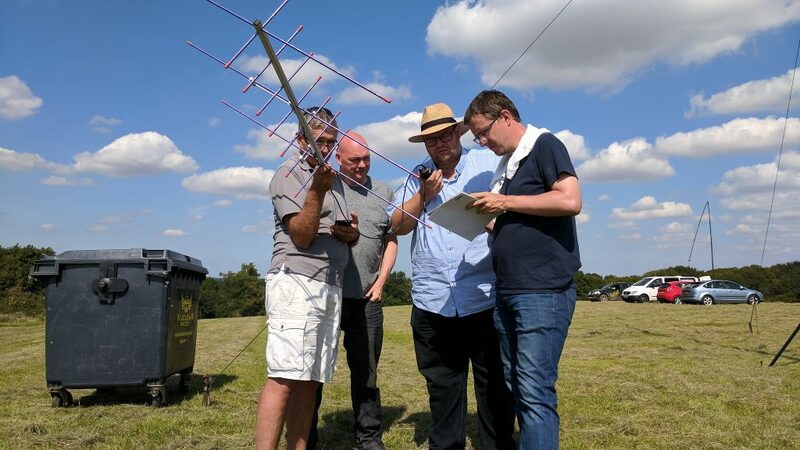 I operated from the SNBCG contest site at the Secret Nuclear Bunker Kelvedon Hatch. 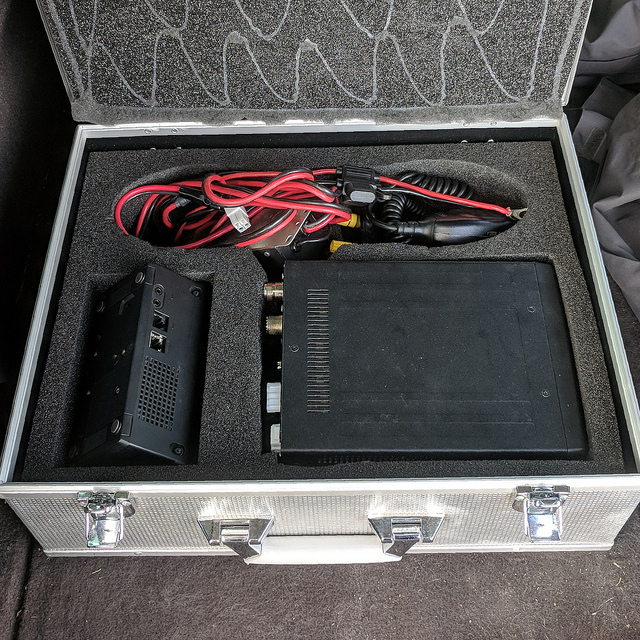 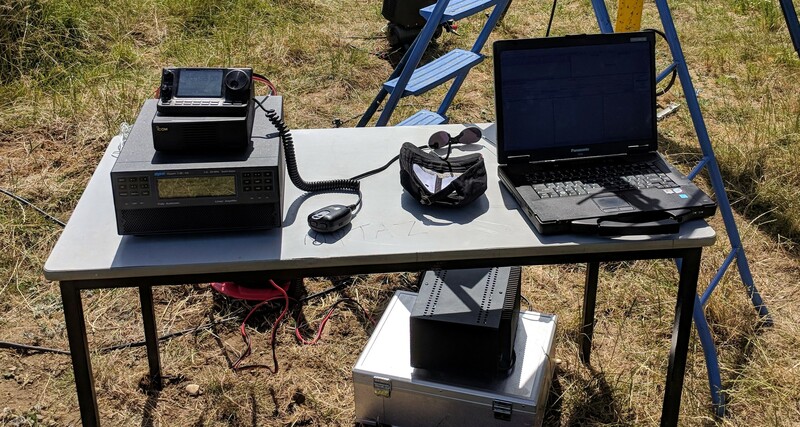 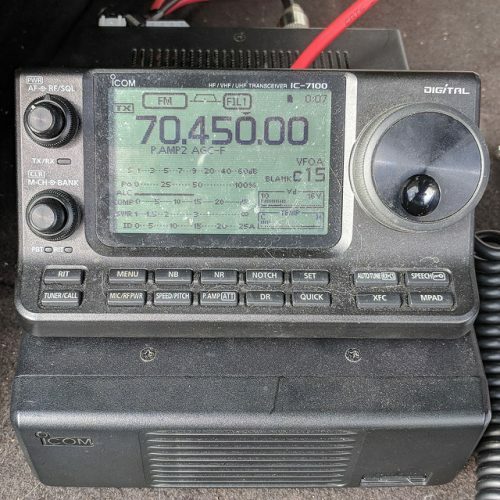 The Icom 7300 and homebrew 6e beam was used in the field, and the Expert 1.3KA provided 160w to the antenna. 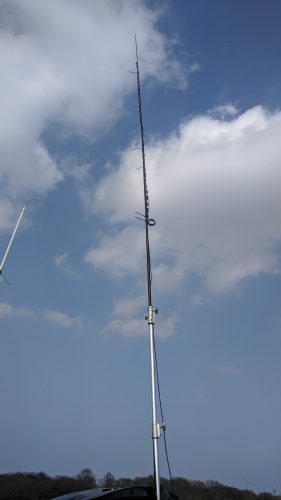 The pump up mast provides 10m elevation, and the bunker location has good take off in most directions. The only issue is some local noise when you beam towards the cellular mast that is on site. 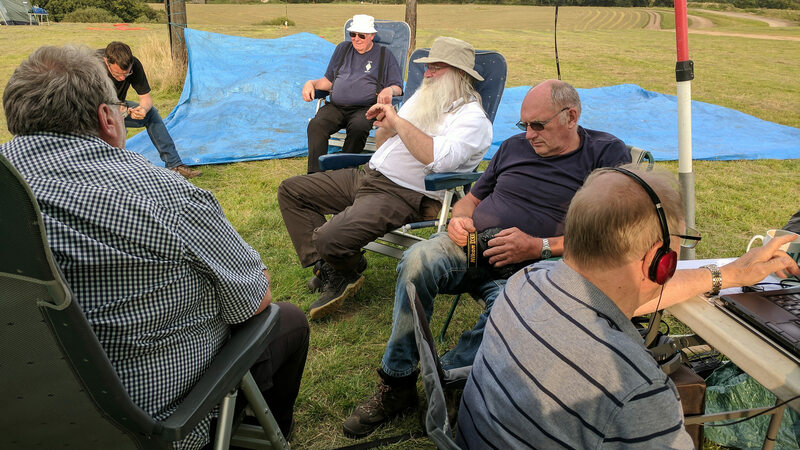 Unfortunately the weather had other ideas, and it soon became apparent that sitting outside alfresco was no match for the British weather. 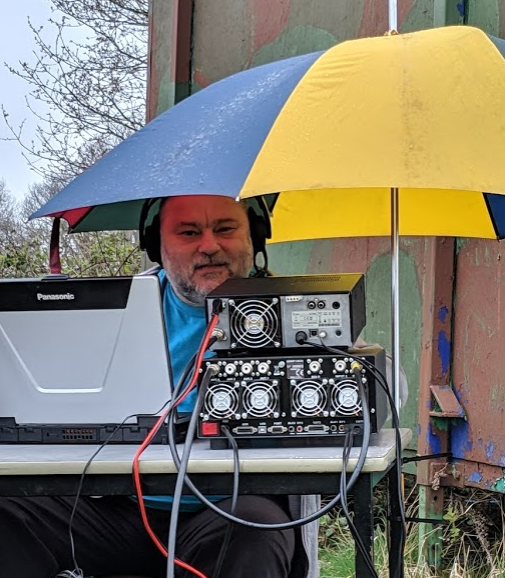 The addition of an umbrella helped for the first shower, but the rain radar soon confirmed more was to come. I decided to pack away after 90 minutes operating, as the weather was set to get worst. 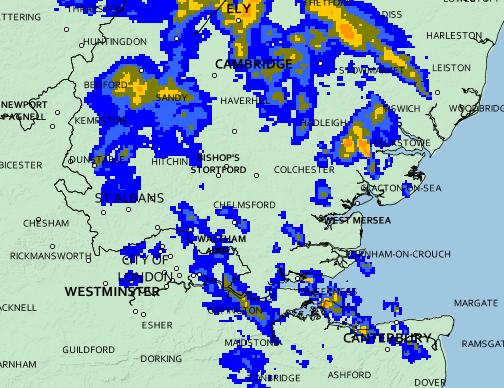 I also noticed a very high noise floor when both in and beaming towards the rain. Once a year the LEFARS crew and SNBCG come together at the Secret Nuclear Bunker Kelvedon Hatch for a big radio weekend. 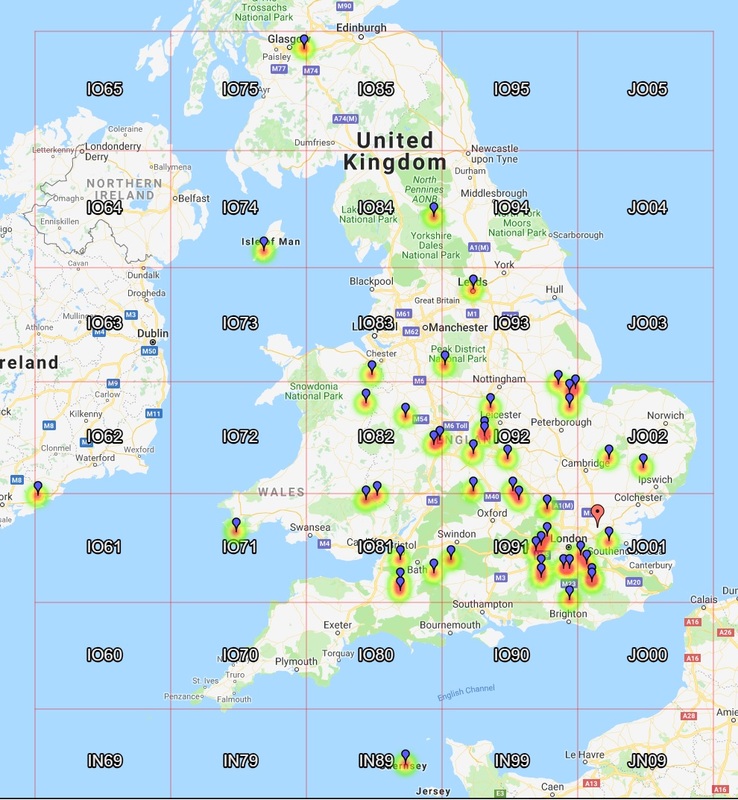 It’s the last chance to play some radio over a bank holiday weekend in 2018 before winter arrives! 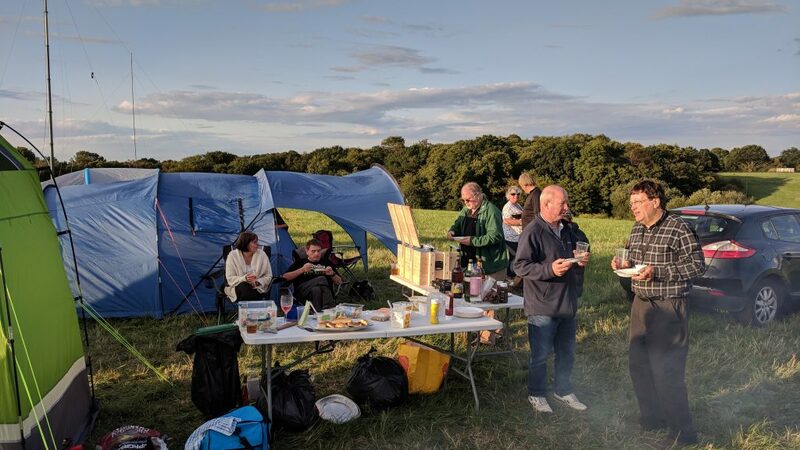 On Saturday we had a BBQ for 25 people, giving everyone a chance to catch up over a burger. 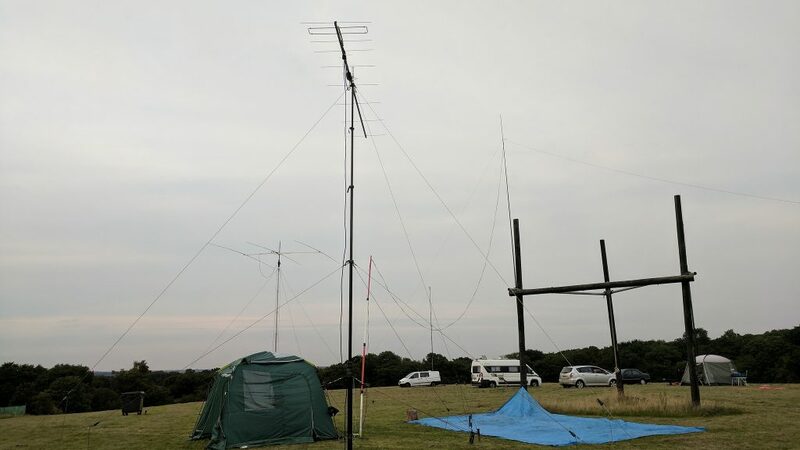 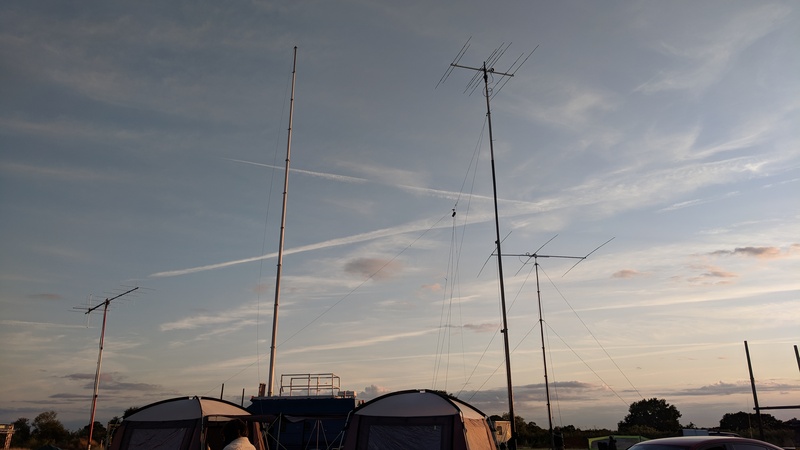 The radio was split into a number of tents, VHF/UHF and 50 and 70 Mhz for LEFARS, with SNBCG running 2 HF stations. 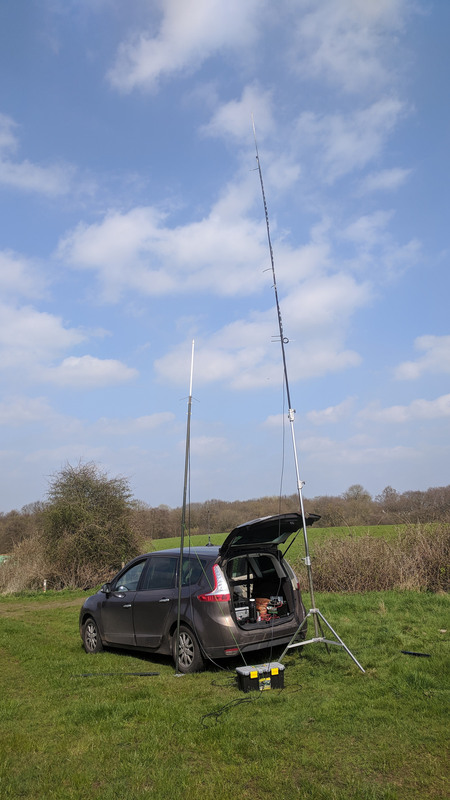 George M1GEO looked after the triband beam 14/21/28 MHz while I concentrated on 7 MHz using my vertical. 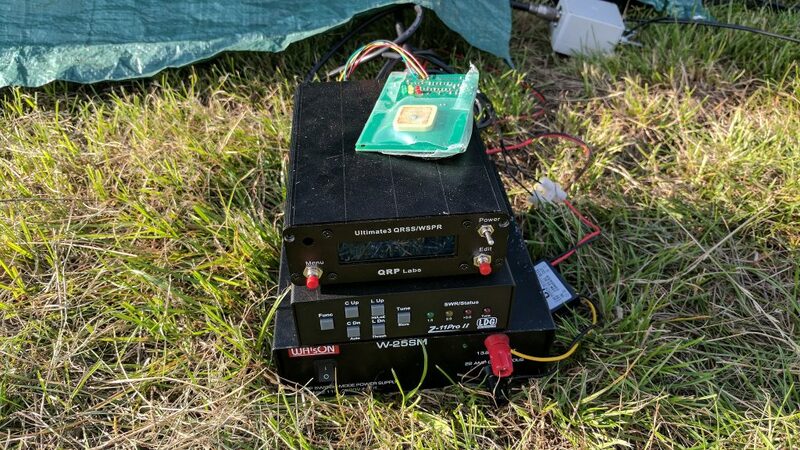 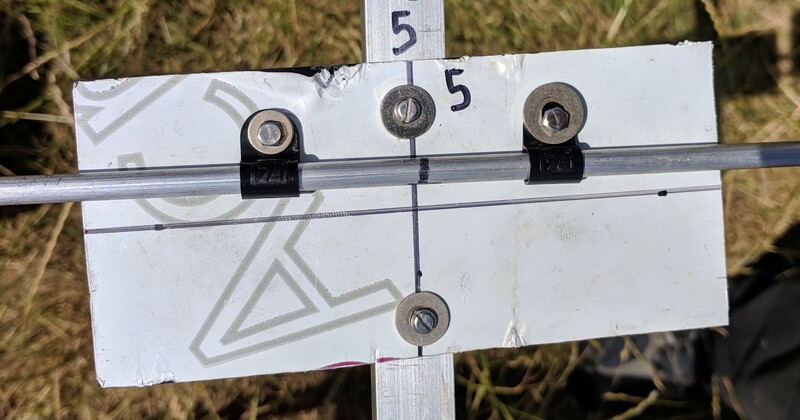 Band conditions could best be described as variable, at times allowing some big DX to be worked, and at other times presenting no signals at all due to a solar storm. 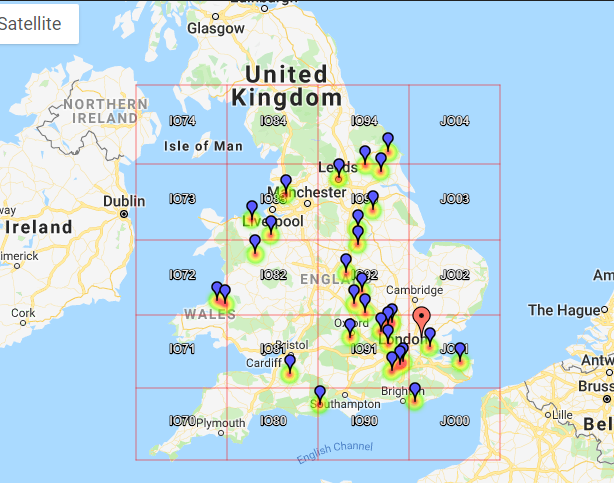 7 MHz on FT8 mode on HF helped work in the poor conditions, allowing me to work several stations from Indonesia, Brazil, West Malaysia, Argentina, Cuba, Australia, Oman, China and Arizona USA. 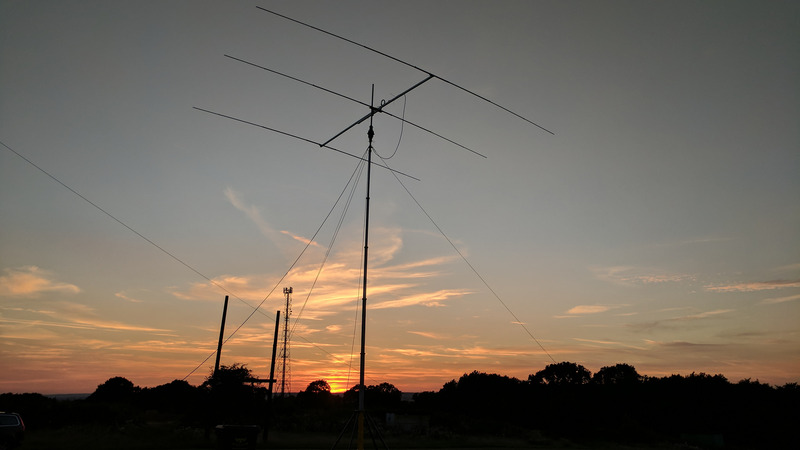 Not bad for a 7 MHz vertical antenna with elevated radials. 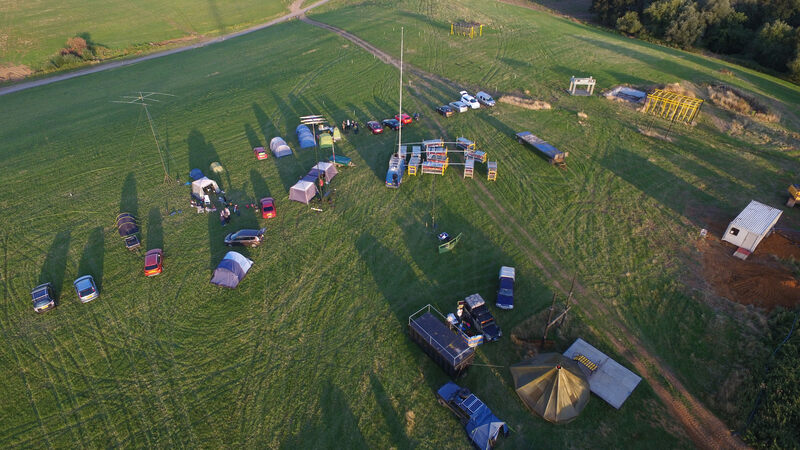 I took the drone up to capture some nice aerial shot of the setup. 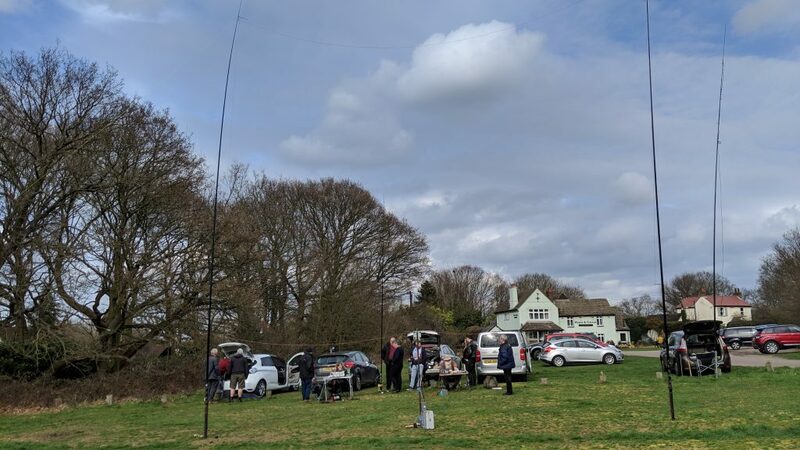 We had attendees from lots of local clubs including Camb-Hams, Essex Ham, LEFARS, SNBCG. 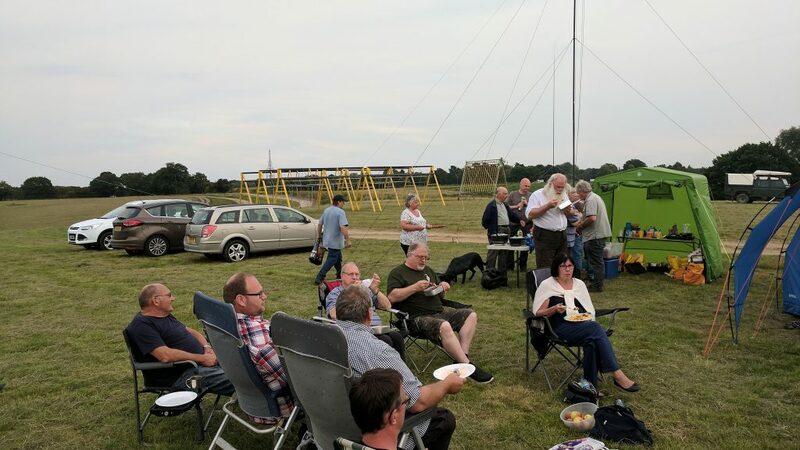 A very well attended event, really nice to see everyone having fun and enjoying both the social and radio event.